Heather has had her art studio in Secession since the day we opened. 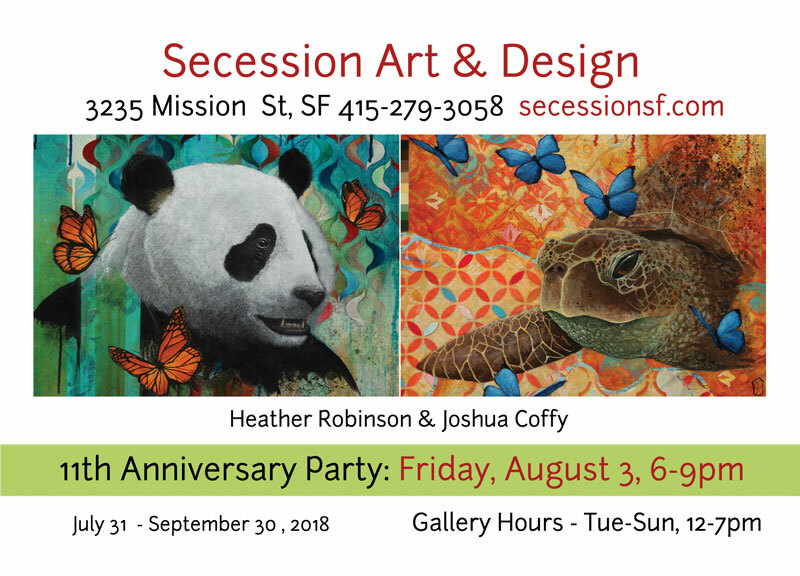 Her art has evolved over the years and this series takes her technique of creating organic and geometric acrylic landscapes on fields of fabric to a new level, partnering with Josh's soulful handpainted animals. Together they created a show that seamlessly shows you a primal world, focusing attention on protecting the natural environment and bringing awareness to the surface. Please join us on Friday, August 3, 6-9pm for the celebration and opening of this powerful show, and Saturday, September 15, 4-6pm for a talk with the artists.